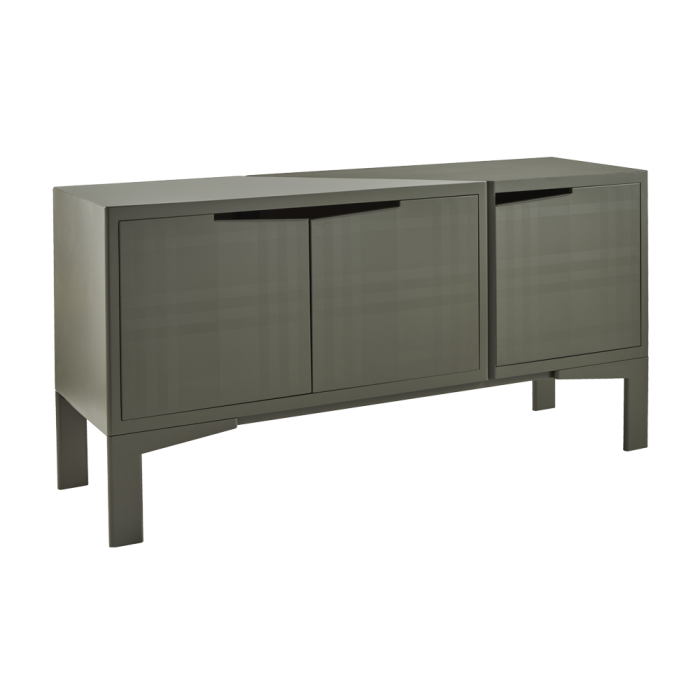 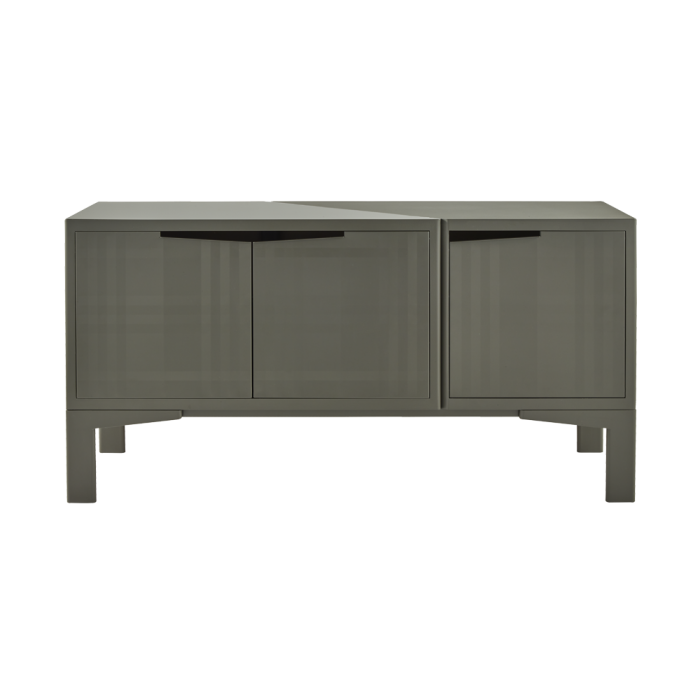 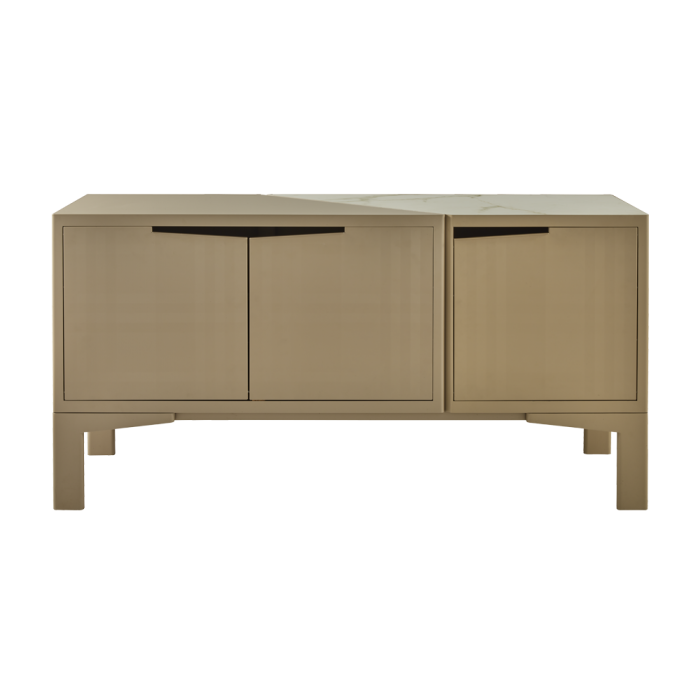 The three-door sideboard in the Pierre range is composed of two modules with different finishes: one matt, one fine textured. 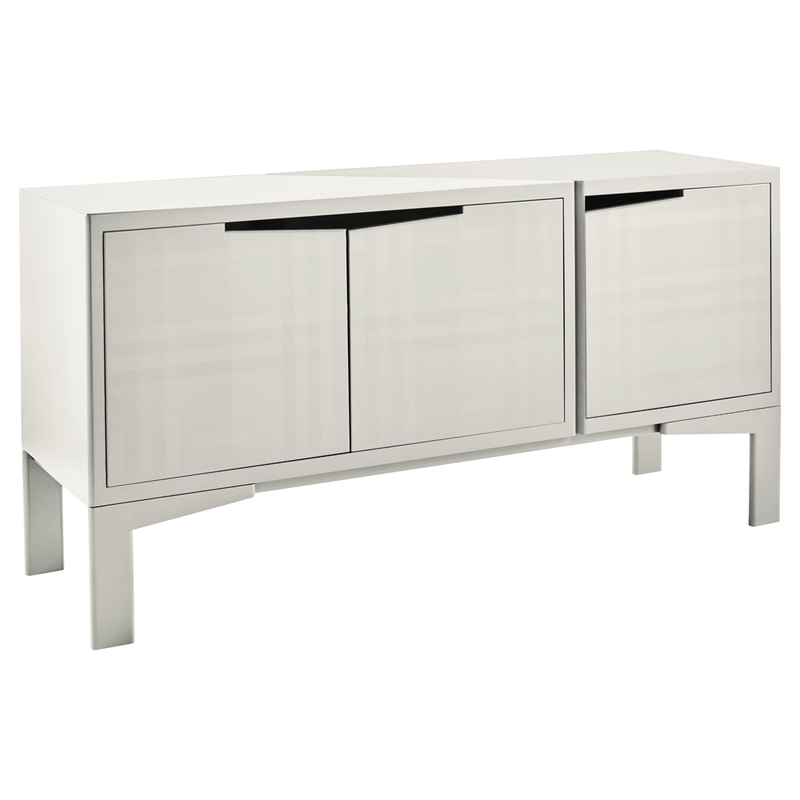 The doors, finished to match their corresponding module, are decorated in a tartan-style relief pattern. 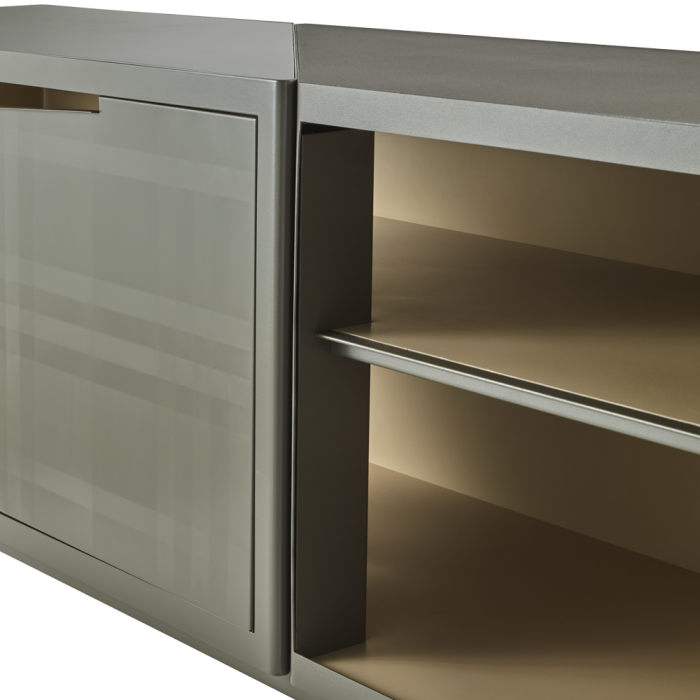 The interior of the sideboard is lined with natural rubber ensuring optimum sound quality as well as a beautifully tactile surface. 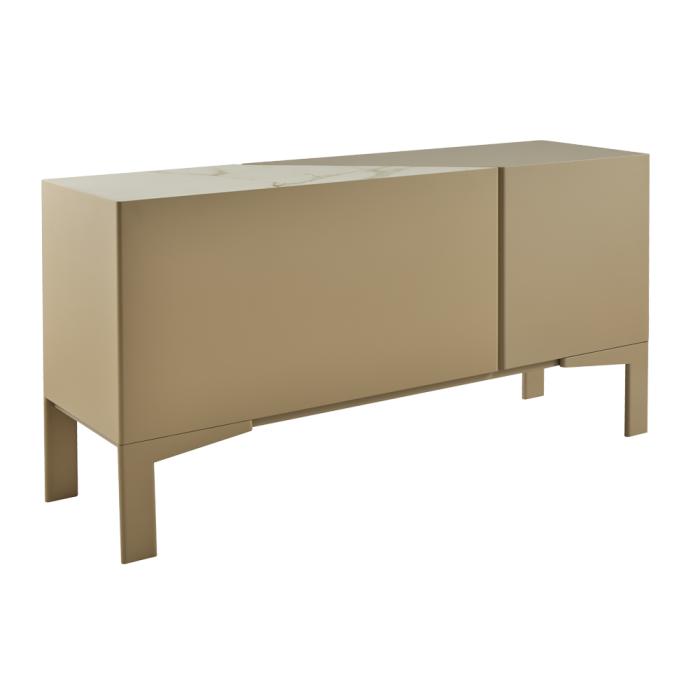 Fitted with an interior shelf. The contrasting textures catch the light in interesting ways and are pleasing to the touch. 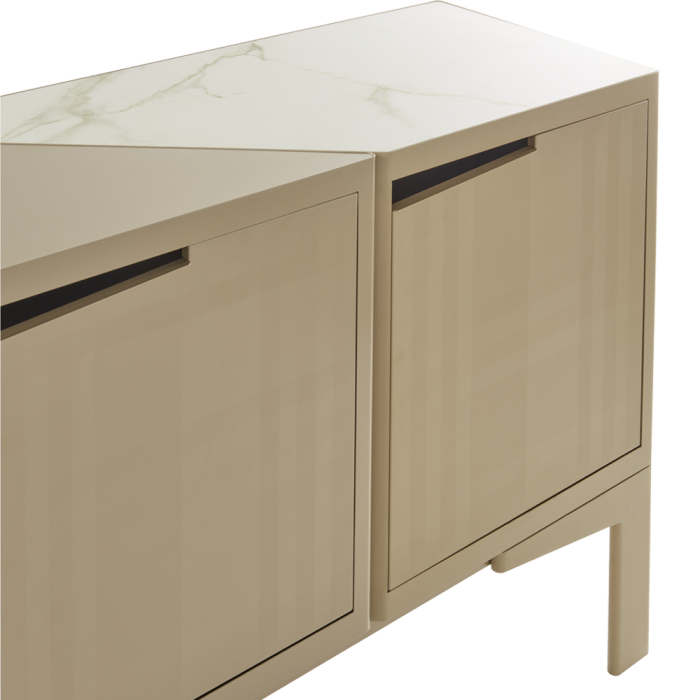 The upper part can be customized by adding a ceramic top with marble effect, a sand coloured rubber top or a natural oak top to the right-side module. 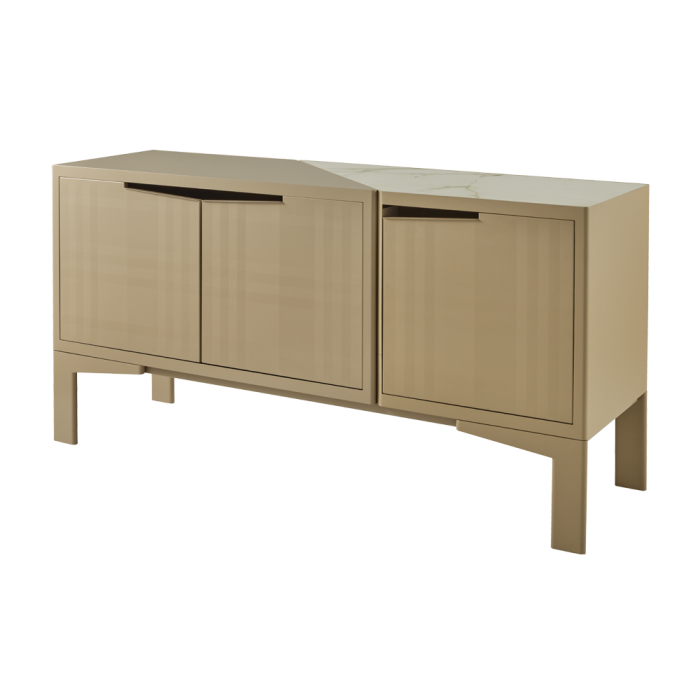 With its fine finished back, the sideboard can even be displayed right in the centre of a room.